Speedwell (our Oyster 435) is now back in the UK. After spending the winter of 2018/19 berthed at Penarth Quays Marina in Cardiff we have decided to go sailing again. You can read all about our current sailing journey and previous trips in our log. 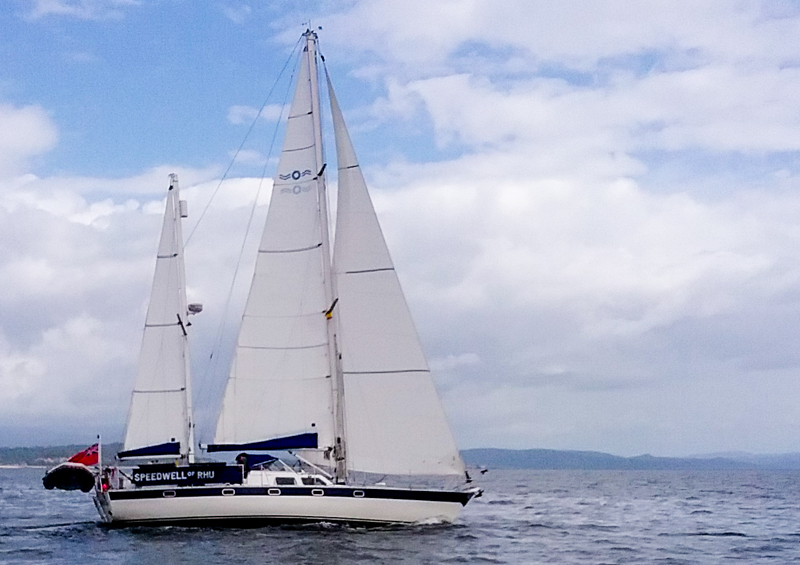 Speedwell of Rhu is a private sailing yacht, she's not available for chartering, sailing holidays or other commercial work (here's why). This web site contains information about our boat, the voyages that we make in her and some other sailing related articles. Check out the log to see what we've been up to, or see a map of where we've been. Some photos from our recent holiday in Costa Rica. We're members of The Cruising Association. You can find web sites and blogs of some other members on the CA site ring using the links below. As we're not responsible for managing the site ring list we don't necessarily endorse the content of any of those sites.